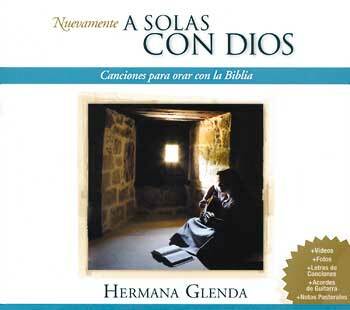 Enjoy instrumental and sung versions of 18 of Hermana Glenda's earliest songs—ideal for personal reflection or praying the Scripture texts. Dedicated to evangelization through music, Hermana Glenda has touched the lives of countless believers around the world. Nuevamaente, A Solas con Dios allows you to rediscover 18 of her earliest songs with new recordings that enrich these musical gems while preserving the original essence that made them so great. Enjoy a number of bonus features on the enhanced CD, including a photo album, two videos and a pastoral workbook containing notes for catechesis, lyrics and chords for each song and more! Instrumental, A Solas con Dios offers rich, new instrumental recordings of these 18 songs, ideal for personal reflection or praying the Scripture texts.